UNITED NATIONS, Sep 17 2014 (IPS) – World leaders gathered at the Climate Change Summit during the United Nations General Assembly on Sep. 23 will have a crucial opportunity to mobilise political will and advance solutions to climate change. Consequently, in addition to reduced CO2 emissions, the region should favour renewables. Why? Latin America and the Caribbean are a biodiversity superpower, according to a UNDP report. On the one hand, this vast natural capital can be severely affected by climate change. Climate variability also destabilises agricultural systems and production that are key to supporting economic growth in the region. But on the other hand, if properly managed, it could actually help adapt to climate change and increase resilience. Also, in most countries, the abundance of renewable resources creates an opportunity to increase reliance on domestic energy sources rather than imported oil and gas, thereby decreasing vulnerability to foreign exchange shocks linked to prices changes in world markets. Investing in access to energy is transformational. It means lighting for schools, functioning health clinics, pumps for water and sanitation, cleaner indoor air, faster food processing and more income-generating opportunities. It also entails liberating women and girls from time-consuming tasks, such as collecting fuel, pounding grain and hauling water, freeing time for education and paid work. 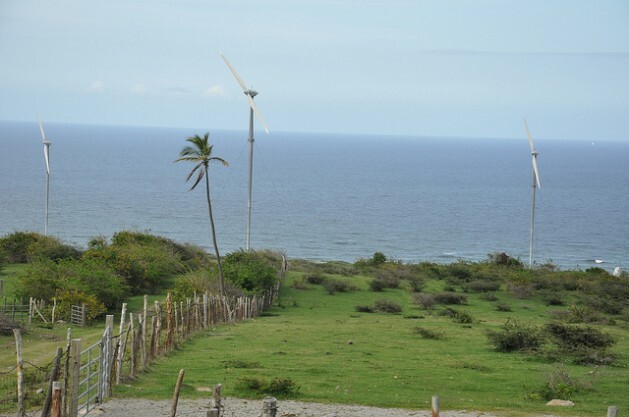 The U.N. Development Programme (UNDP) is working with countries in Latin America and the Caribbean to boost access to sustainable energy and reduce fossil fuel dependency. In Nicaragua, for example, nearly 50,000 people from eight rural communities gained access to electricity following the inauguration of a new 300 kilowatt micro-hydropower plant in 2012. This was a joint partnership between national and local governments, UNDP and the Swiss and Norwegian governments, which improved lives and transformed the energy sector. In addition to spurring a new legislation to promote electricity generation based on renewable resources, micro enterprises have been emerging and jobs have been created—for both men and women.